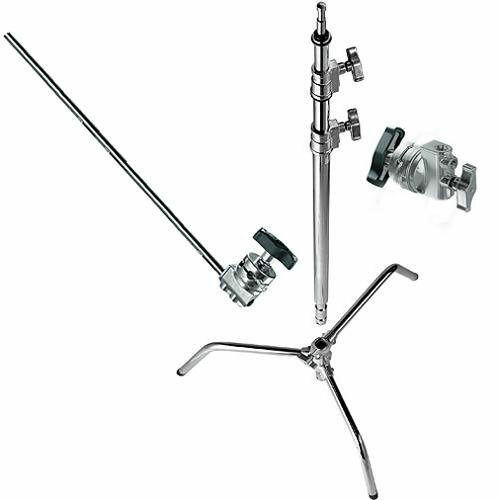 This 9.8′ Avenger 9.8′ Turtle Base C-Stand features chrome-plated steel construction, a 3-section column with 2 risers and a maximum height of 9.8′. It has a detachable “turtle” base that is easily removed for ease of transport. For added versatility, a light head can be mounted to the base directly with the aid of a stand adapter (E200). Avenger A2030D 3m C-Stand + grip head and arm is available for rent or hire from RENTaCAM Sydney.